Biedt UV-bescherming voor alle afgewerkte autoleer en vinyl. Start by testing a small area for colorfastness. If color is affected, do not use. 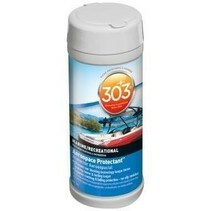 Spray product directly onto desired surface and wipe dry with a clean, microfiber towel or applicator. If surface is extremely dirty, work product into surface before wiping dry. Additional applications may be required. Use a wet towel to remove any excess, and immediately wipe dry. Apply every 30-45 days for best results, or as desired. Great for use on auto leather or vinyl interiors, shoes, leather furniture, and much more! 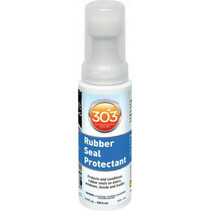 DO NOT use on unfinished leather (such as suede), fabrics or flooring. De voordeligste zeilmakerij benodigdheden online voor particulier en industrie. Vele watersporters, kampeerders en bedrijven kozen al voor de kwaliteit en service van eSails / Zeilmakerij Stroobach BV.